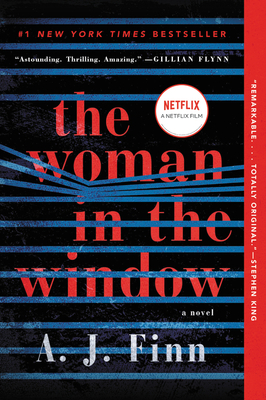 The Woman in the Window is a twisty, Hitchcockian, thrilling mystery, and is 100% unputdownable! Anna Fox’s solitary existence in her New York brownstone is filled with watching black & white mystery movies, drinking wine, and keeping tabs on her neighbors through her windows. She’s suffering from PTSD caused by an unknown trauma, and is separated from her family for unknown reasons. She is fascinated by the new, seemingly picture perfect, family who moves in next door, and she compulsively spies on them. Then she sees a horrific event, and must figure out how to deal with trying to figure out what’s real, and what’s part of her paranoid agoraphobia. The way A.J. Finn crafts this brilliant novel is perfection itself, both an homage to Hitchcock and fabulously original.